It looked so simple at first! 79SA to 87EFI NA, It looked so simple at first! This is a mostly after the fact build thread on the engine swap for those that are interested. I didn't want to clutter up the forum with something until I knew I could actually complete it. This is the first thread like this I've ever tried to post, so please bear with me. My pics aren't as complete as others since I didn't take them in progress and the car is FINALLY together. I'm just trying to show what I've been up to as a couple of people have asked for. I'll being updating more regularly as I do the suspension and other work. This is rather lengthy, since it took most of a year to get to this point (I'm not the fastest worker nor the brightest flower in the pot), and it's all coming in one big lump. I'll have to break it up into separate posts as the Forum can only accept 5 pics at a time. And no, it's nowhere near as pretty as a lot of the projects I'm seeing on here. I was looking for a small second car to get around in that would hopefully get better mileage than my pickup. 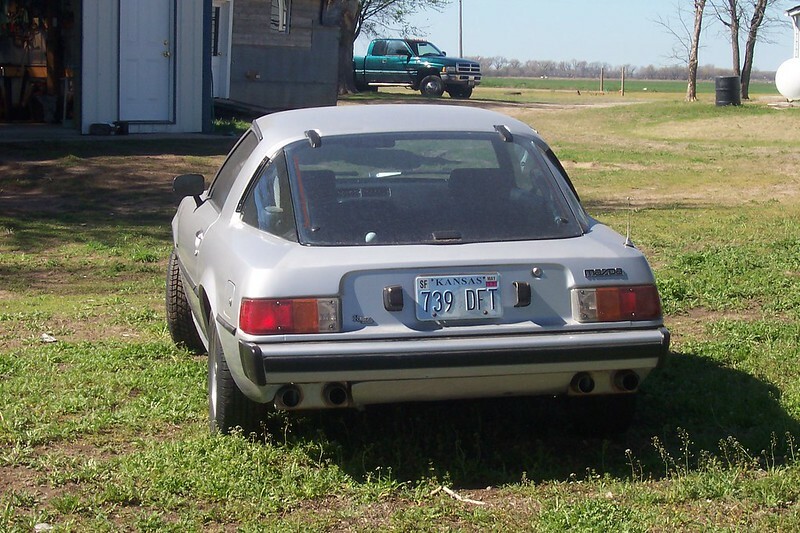 I was looking on line when I found this 79SA for sale in Oklahoma by Apex Auto Parts. I remembered how much fun my 75 REPU was that I had during the late 70s- early 80s. I decided then and there I had to get another rotary. They had bought it from a local kid, who drove it until it died. It didn't look like he'd caused too much damage, so I investigated. Supposedly it had been garaged for ten years before they bought it. They were planning to use it as a shop project. When money got tight they decided to sell it instead. This seems to happen to all of us at some time. The car was completely stock. 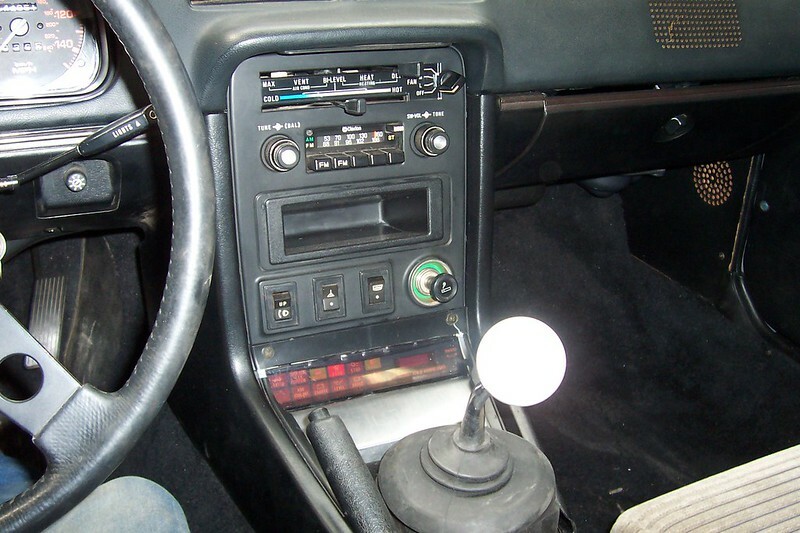 The only modifications were a lame equalizer and hacked radio wires. The front and rear valance panels had been modified ala off-road driving (bent all to h***). The rear rotor had no compression, but it did run, sort of. The good part was that the interior was complete and in really nice shape. The body had only some surface rust, normal usage dings, and a little hail damage (this was from Oklahoma after all). I can live with fixing dents, but rust is a bugger to fix, (expensive too). Sooo... after a quick trip down to Oklahoma City, and more money than I should have spent of course, it was mine. Here's the pics of when I bought it. Last edited by GySgtFrank; 08-02-2013 at 01:06 AM.. Reason: name change. I looked on the forums to see what options I had for fixing the engine and exactly what I had let myself in for. 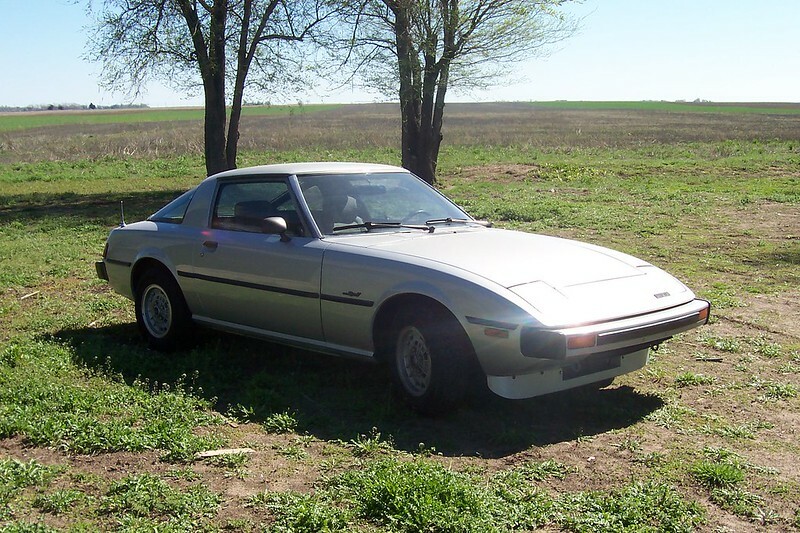 I've rebuilt quite a few different vehicles over the years, but never messed with a rotary. My old REPU was dead reliable, so I never had to tear into it. I pulled the 12A and tore it down. 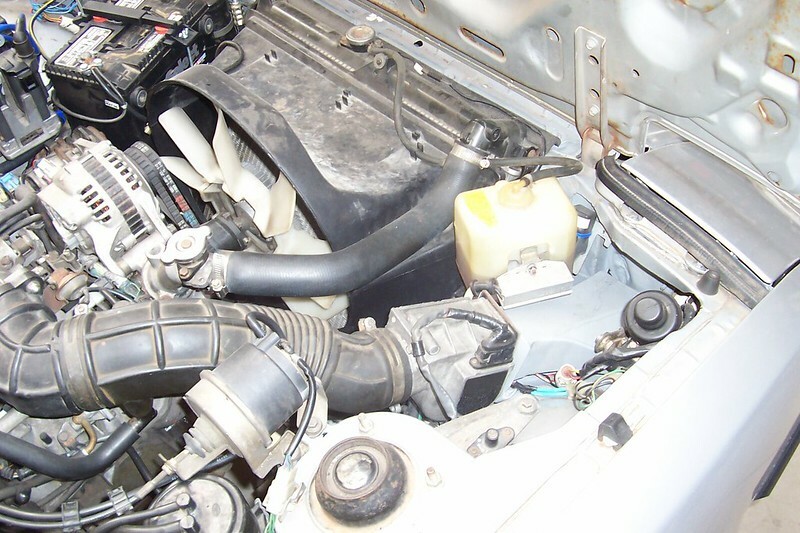 The rear housing was scored and needed replacement. After searching for a while I found that it is becoming quite hard to find decent 12A housings and parts (at least anything I'd want to use). The 13B FC parts are still relatively plentiful so I looked into going that route. After all, how hard can it be to replace a 12A with a 13B right? Shows how much I know! 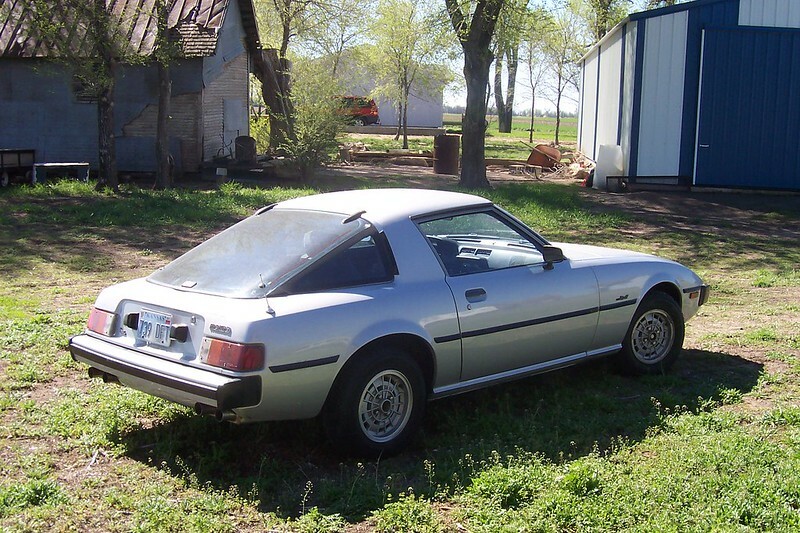 Well I located a rusty rear-ended 87 GXL from Dukes770, on the other forum, in Olathe, Ks. He needed some of the body and interior parts for his TII. He didn't need the NA drivetrain. This sounded good to me and a good running NA 13B would have about half again as much power as the stock 12A did. So, more money and a trip to KC, and I now had a running, stripped out FC sitting in the yard. Sorry no Pics, you wouldn't want to have seen it anyway, as it was pretty ugly. 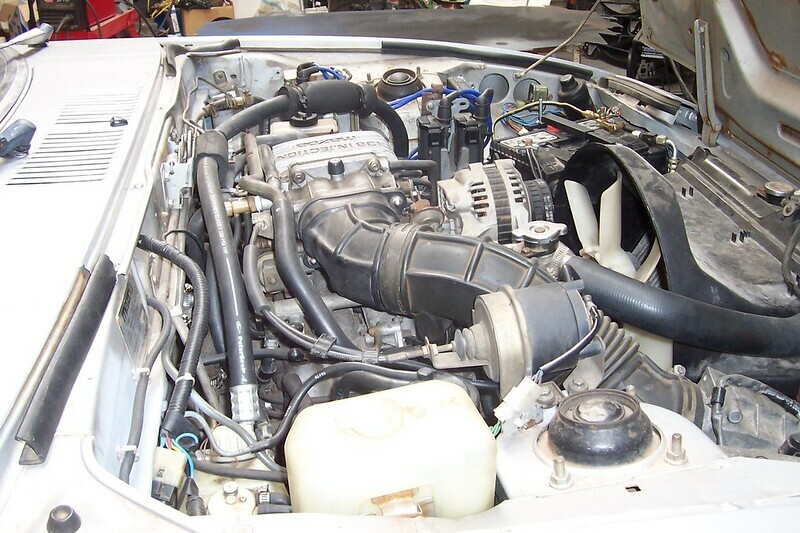 I swapped the complete FC wiring harness, engine, transmission, fuel tank, and radiator. Yeah, I'm a glutton for punishment. I decided to keep the stock computer for now. I had it, and a standalone is out of my price range at this time. Time I have, money's a little harder to come by. Later I'll get a good computer and commence playing. I also decided to do a custom dual exhaust, since I don't really care for the look of the big single exhaust out the back. From reading up on performance mods here, most people say that a free flowing exhaust is one of the most important mods you can make on a rotary. So I ended spending a lot of time and money on this part of the build. I figured it was a good starting place. If I go forced induction later I'm going to need all the exhaust capacity I can get. 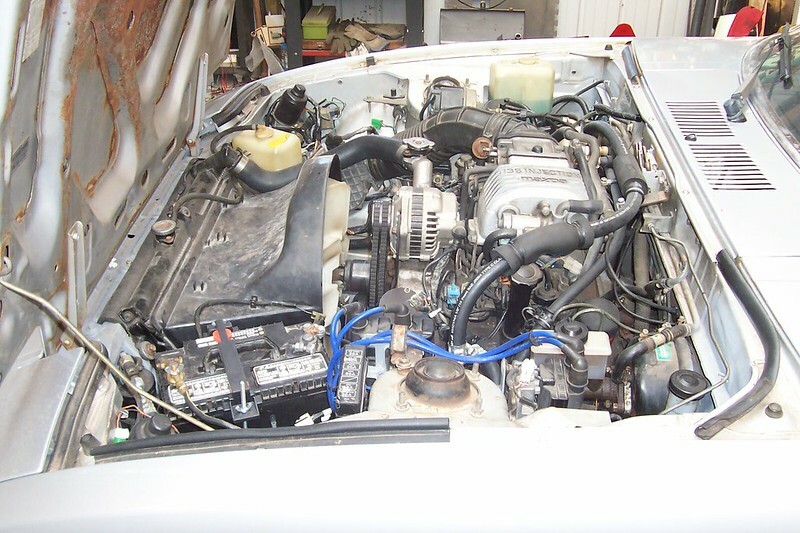 Well..., I bought an FB 13B cover and pan from Fong, on the other site, and fitted the engine and transmission to the SA. Everything went in without too much hassle. The 79 driveshaft even fit. I kept the shifter in the FC position as I'm short and the SA position was too far forward for me. Needless to say I had to modify the trans tunnel. Cut it out of the 87 and weld into the 79. I'm not the world's greatest welder. It all stuck good and I tried to always weld both sides just in case. I have a variable feed MIG welder. It varies the feed speed to whatever it feels like, which makes pretty welds rather difficult. I used more wire on my MIG than really necessary but I didn't want parts falling off going down the road, that's always embarassing. Somewhat baffled, and feeling kinda dumb. Could someone please tell me how to post these pictures to make them appear in the larger size, like the other build threads. Like I said, I'm new to this and have very little clue how to work the Forum. It's doesn't seem to be addressed anywhere I could find it. I resized the photos to be within the stated parameters within the manage attachments portion, as suggested by Duffman692002. But they're still showing up small on the preview. I don't want to inconvenience anyone by having to constantly click on the pictures just to be able to see them. If the image is hosted at rx7club, it won't work. You need to use something like photobucket, or I use Google Picasa. Thanks, I have a lot better pictures if I can ever figure out how to get them to link here. Well, I took your advice djmtsu and loaded my pictures to photobucket. I tried to attach the IMG link here and all I get is an invalid image message. Thumbnails work from there just fine, but not the IMG links. Any ideas?, am I doing something wrong? Cont'd with the build thread. I'm glad I'm not as inept with tools as I am with posting. Next problem was the radiator and oil cooler. I wanted to keep the stock clutch fan and fan shroud. I wanted it to look almost stock but it wasn't gonna work in the space I had. So, cut the front radiator support from the 87, fit and weld into the 79. I remounted the oil cooler where most people put an intercooler. It should have good airflow down there. I had to build a custom airdam for it of course, but mine was trashed anyway (even if it would have fit). I also had to lower the front lip on the belly pan. Cut, Fit, weld, hack, slash, blood flying, oops getting carried away. Last edited by GySgtFrank; 08-13-2013 at 02:42 PM.. Reason: Bonehead finally figured out how to post pictures correctly. Intake was the next problem. No matter how I looked at it, the stock filter was not going to fit. The 79 headlight door motors are right in the way, and I didn't want to open up that can of worms trying to reengineer that. I then fabricated a box from sheet steel to connect the filter airbox to the MAF and used the stock plumbing to connect the two. 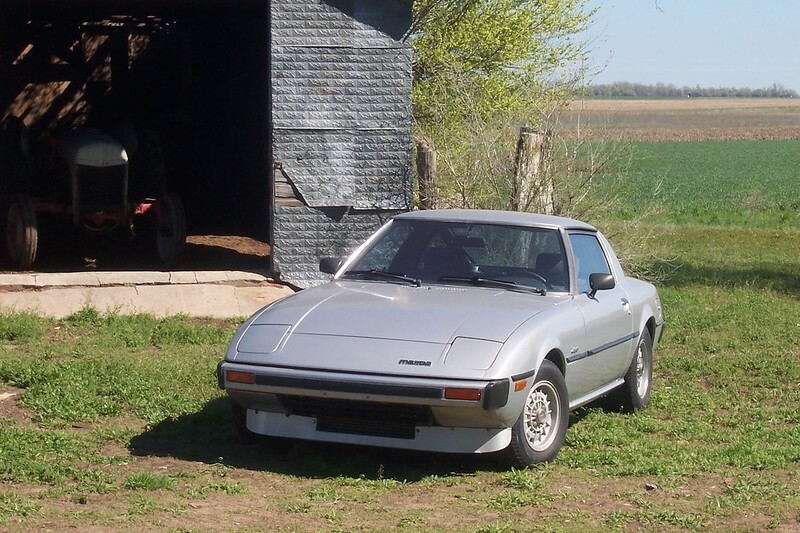 Trying to make it look like Mazda might have done it if the EFI had been available in 79. I think I came pretty close. Engine bay is rather cluttered right now, but will clean it up a little when I get around to paint. Last edited by GySgtFrank; 08-13-2013 at 02:43 PM.. Reason: Bonehead finally figured out how to post pictures correctly. I'm breaking this down into manageable bits. Sorry Mods if this isn't the way it should be done. I then remounted all the peripherals to the 79 chassis. A/C was next, and noo I'm not driving around in a Kansas summer without A/C. I used the 87 condensor in front of the radiator in the same position as it was on the 87. Moved the accumulator over by the battery so I could actually see the sight window and had new lines made, (mine were shot). Then I routed them on the drivers side to the 79 compressor. No P/S, so I kept the 79 A/C mount. Hooked it all up and it fits, I don't know if it works yet, as I need to get a new compressor, found out my compressor is seized and then I need to recharge the system. Now for wiring the harness. Lots of time here, I was dreaming SA and FC wiring diagrams in my sleep for a while there. I had to figure out where to run everything in very limited space and make room for the extra relays and stuff needed. I also found that I was missing a lot of the little parts and the dash harness. I bought most everything I needed from BrettLinton7. He was a lifesaver. He had plenty of patience to answer lots of stupid questions. I had to modify some of the wiring as the 79 ignition switch works differently than the 87 switch. (IGN2 is interrupted on start in the 87 and isn't on the 79). Also some of the accessories were positive actuated on the 79 and negative actuated on the 87. A few relays and it works. I kept the 79 headlight and turn signal switches as well as the heater A/C controls, and console switches (Will use the antenna switch for a hatch release when I get around to that). Much better than the electronic stuff. I did keep the idiot light panel and the gauge cluster though. 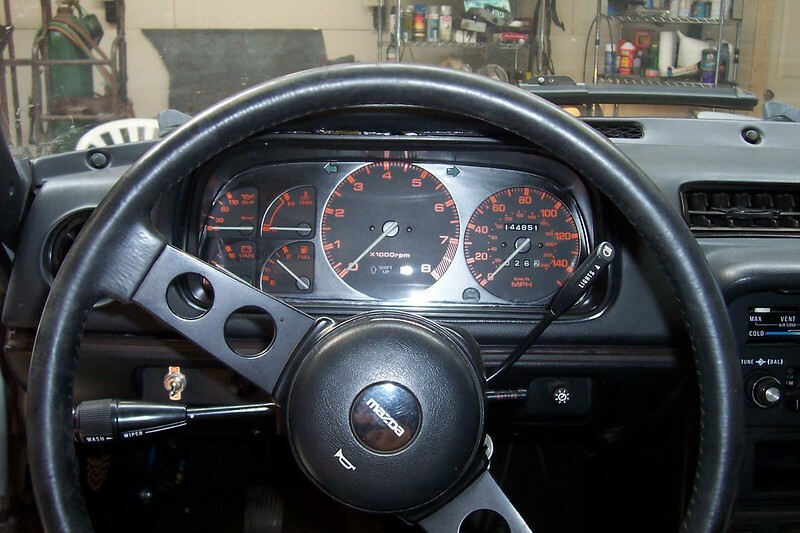 This was easier than rewiring the gauges, it also had 2 more gauges and the higher speedometer. As if I'm going to make it to 140 mph, Hah! I had to modify the instrument bezel and make new dash mounts to mate the two, but it looks pretty much stock if you don't know what it's supposed to look like. I liked the white gauge numbers on the 79 better, but you can't have everything. Lots more time fiddling to get everything hooked up and working. Installed a clutch safety bypass switch (where the choke was at). Now I can turn the stupid thing on and off. The wiring is done. 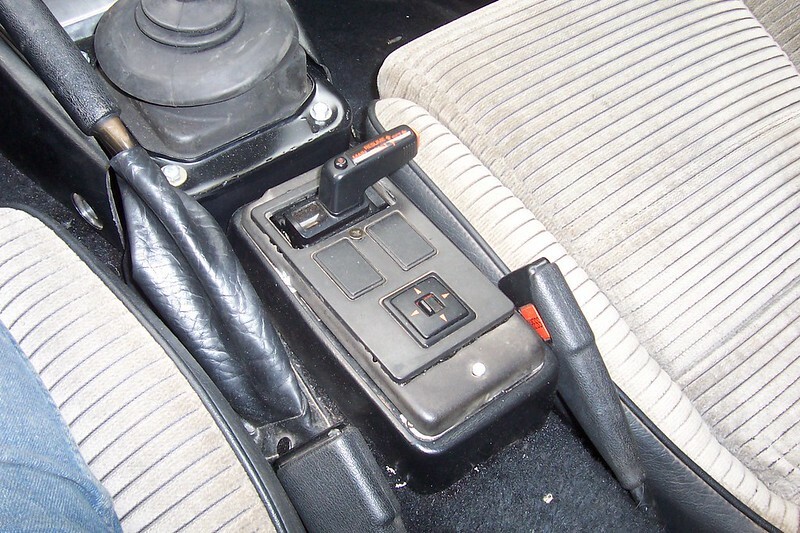 The center console still needs to be finished, but I did clean it up a little bit until I get around to doing it. 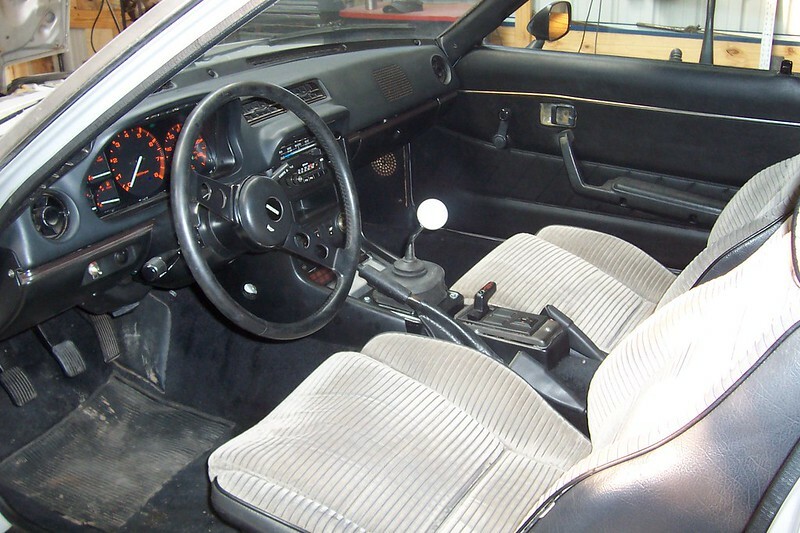 I extended the wires and remounted the FC cruise control switch ro the center ashtray area for the 79. I don't smoke anyway. Eventually I plan to put in switches and hook up power windows and mirrors in the FC panel. Last edited by GySgtFrank; 08-13-2013 at 02:44 PM.. Reason: Bonehead finally figured out how to post pictures correctly. Next major hurdle was fuel. I needed the EFI pump w/sump in the 87 tank. After lots of head scratching I decided to swap in the entire 87 tank and lines. 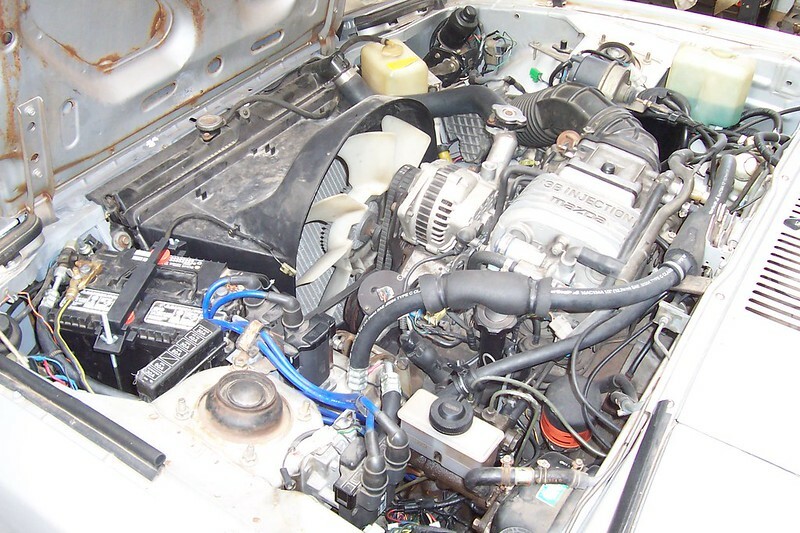 I wanted the pump and setup that matched the engine and induction I was using, in order to head off those particular headaches. This also allowed me to free up the room on the driver's side for a muffler. Of course, Mazda had to go and change the fuel filler from the driver's side to the passenger's side between the two generations. Being a masochist, I therefore had to center mount a new fuel fill opening behind the license plate. 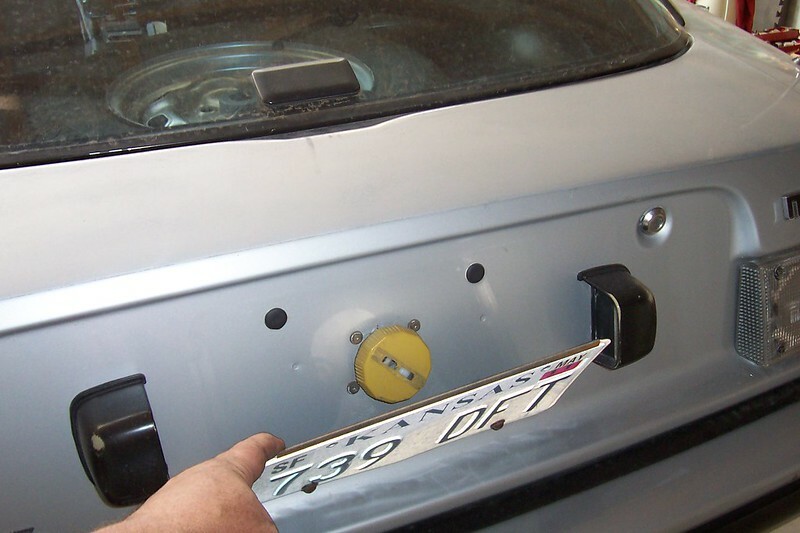 I used a leftover hinged plate holder I had from a 68 AMC AMX project. After getting new pipe bent to connect to the passenger side, figuring out which rubber connectors would work, and some cutting/fitting, Voila'. The 87 fuel tank is taller, so the spare tire well had to come out. Here we go again, cut out the well, cut the rear floor from the 87, trim to fit, put in bolts, weld down the nuts, and install seals. We have a new floor with a fuel pump access hole. Not the prettiest thing in the world but it's hidden under the carpet and more importantly, it works, and I have a larger tank to boot. 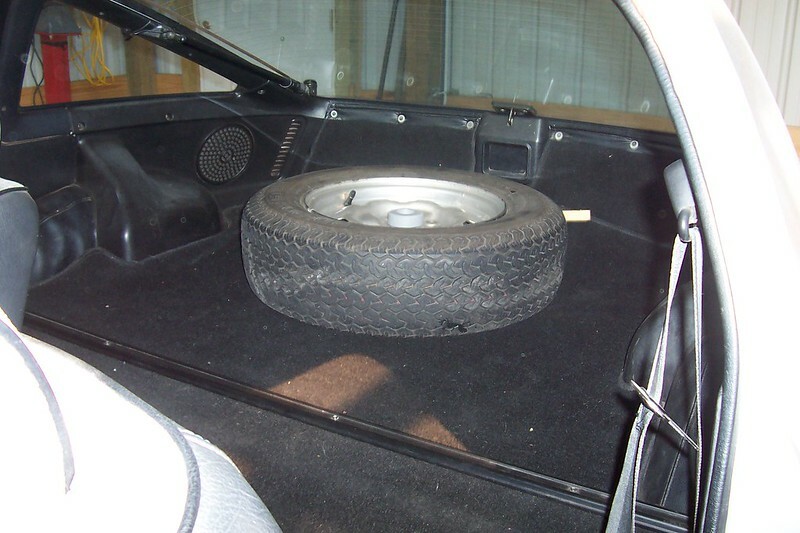 I had to figure out a way to bolt down my spare in the back hatch area as I no longer had room for it. Cut the center bolt down section from the original well and bolt onto the rear hatch floor, and fabricate a holder so I can run a center bolt through the wheel. The spare needed to be bolted down so I don't end up wearing it around my neck during a panic stop. Besides, it kind of reminds me of the old Ferraris with it mounted visible under the glass this way. Last edited by GySgtFrank; 08-13-2013 at 02:45 PM.. Reason: Bonehead finally figured out how to post pictures correctly. Now that I had room for a second muffler (not much, but enough). I started looking at mufflers and routing. I then realized what they meant about putting 10 lbs. into the proverbial 5 lb. bag. I went with the Spin Tech XL plus mufflers in the back (no packing), they went in with lots of fussing for clearance and the rear mounts got interesting for a while. I probably should have used the smaller 8" wide mufflers instead of the 10" wide ones. But I'm one sick puppy, remember? I used the Stainless Works smooth tubes (stainless packing) in the middle in a 32" length and had them put header flanges on both ends, so I can actually get my transmission out again. The driver's side didn't really have enough clearance in the center of the floor tub so.., more cutting, more welding, and generous application of the BFH. I now had room. Next problem was that blankedy, blank Watts link right in the way! From reading up in the posts I found it didn't work all that well anyway. 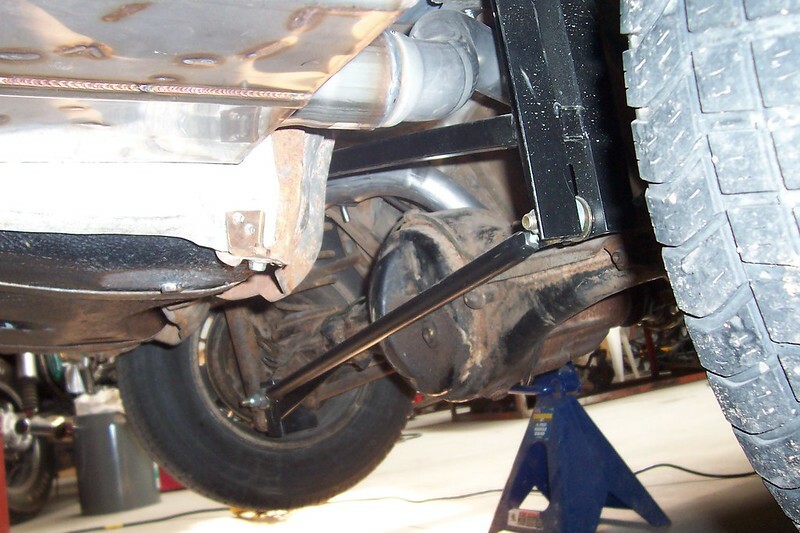 So, contact G-Force Engineering for a panhard bar, more welding, no cutting this time thank God, and I had just enough room for a snake to squeeze through there. I puchased the Racing Beat FC six port road race header, which went right on with no hassles at all. Now that was nice for a change. 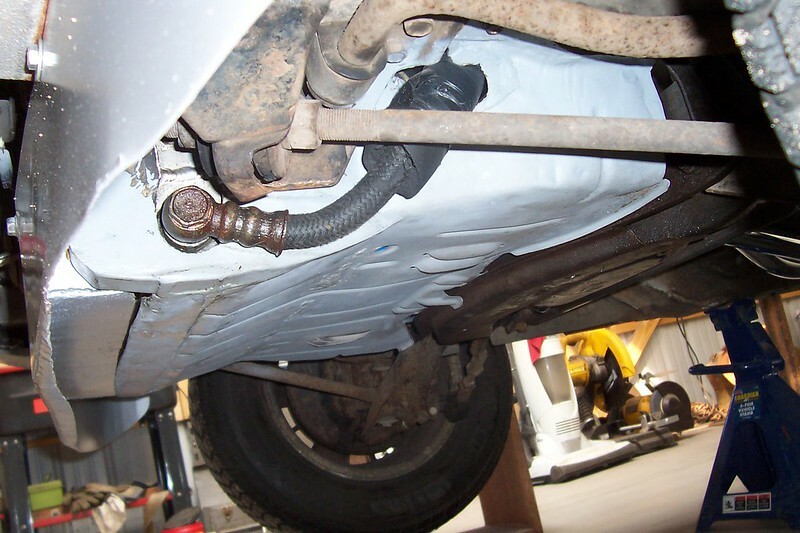 I then had the exhaust shop connect the sections together, I do believe they thought I had lost a few marbles. They didn't have room for an H-pipe with the road road race header flange having the two exit pipes side by side within inches of each other. 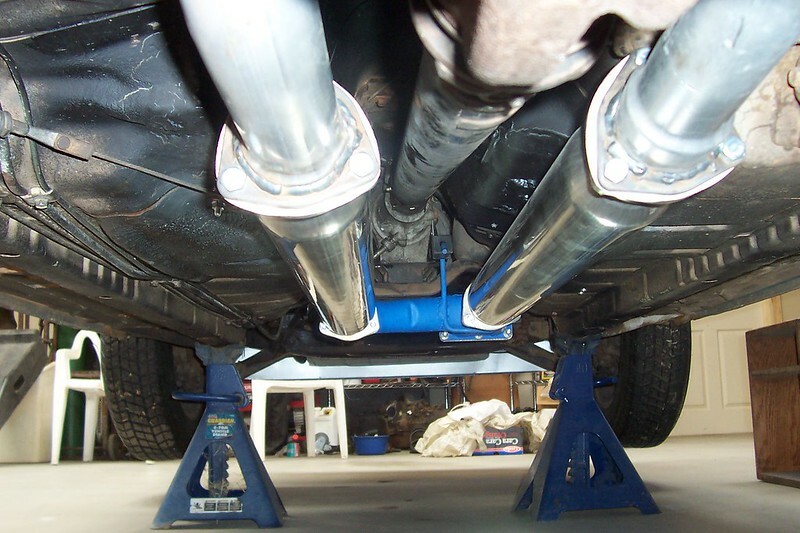 They ran the two pipes back and connected them to the center mufflers. I didn't want to run without a collector of some sort, there wasn't enough room from the header to the center mufflers for a traditional collector, so I cut the center portions from the two pipes at closest approach and joined them into a homemade collector. Again, not especially pretty, but it works. The collector changed the exhaust tone to a deeper, smoother sound, a plus in my book, and hopefully helps performance. Although the exhaust came out a little louder than I was really trying for. Last edited by GySgtFrank; 08-13-2013 at 02:47 PM.. Reason: Bonehead finally figured out how to post pictures correctly. I replaced the brake master cylinder with the 87 unit, which necessitated making some new lines as the outlets are a little different and the 79 uses coarse thread instead of everyone else's fine thread. My master cylinder was shot, and I plan to put the 87 front subframe and braking system under it eventually anyway, so it seemed like a good idea at the time. Got everything hooked up (why won't it start? Oh, fuel lines are backward, Duh!) and finally took it for a drive. Everything looks to be working good. Except that I needed to re-bleed the brakes again. The shift up light comes on at the strangest times though. When is it supposed to come on in the FC? My horn relay doesn't seem to be working and the flash to pass function (probably my strange idea of wiring caused this) is a bit disconcerting when it bounces my headlight doors up every time I accidently bump the turn signal stalk. But, I've got to have something to do I guess. Overall I'm pretty happy with how it turned out so far. Quite a bit of power, it'll break the 13s loose into second pretty easily (Really guys, I'm trying to take it easy for the first couple hundred miles to break it back in.) . It's not a monster show machine like some I've seen on here, but that wasn't what I was trying for. Here's some pics as it sits now. Last edited by GySgtFrank; 08-13-2013 at 02:48 PM.. Reason: Bonehead finally figured out how to post pictures correctly. As usual more problems keep cropping up. My radiator is leaking around the plastic tanks. 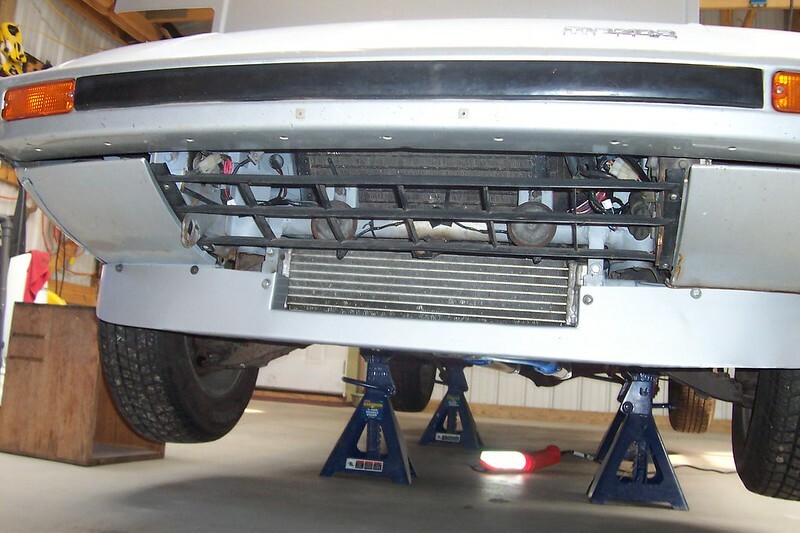 It looks like the next project will be to pull the radiator back out and replace it with a Koyo aluminum unit. I'm currently working on the FC front subframe. So far, all I've got done is to depower the power steering rack according to TitaniumTT's post and start cleaning. I'm going to see if I can swap in the LSD from the 87 differential and try to swap over to the big axles or possibly try to locate a complete SE rear axle and get new shafts with the 5X4.5 bolt pattern. I'm not sure exactly what's involved in this yet. 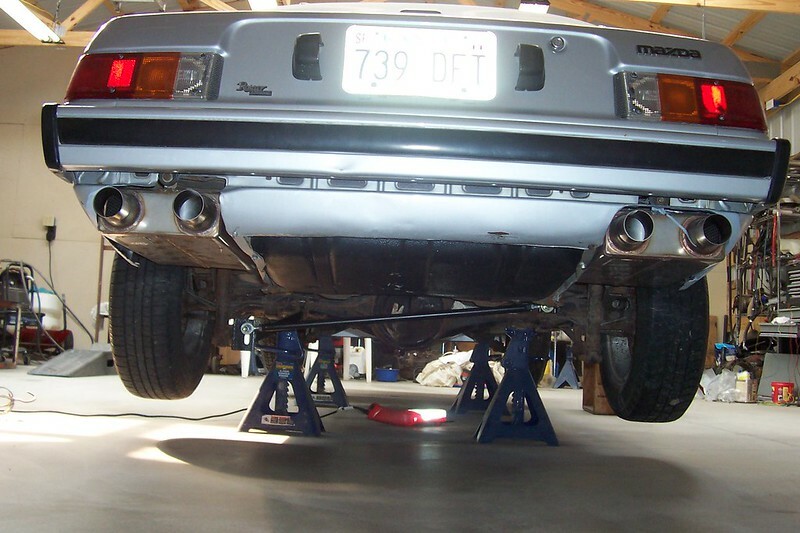 I'll then fabricate and weld on some mounts to accept the 87 rear discs. More cutting, grinding, welding, Oh well.. I'll post more as I get to it, hopefully I didn't bore anyone to tears. 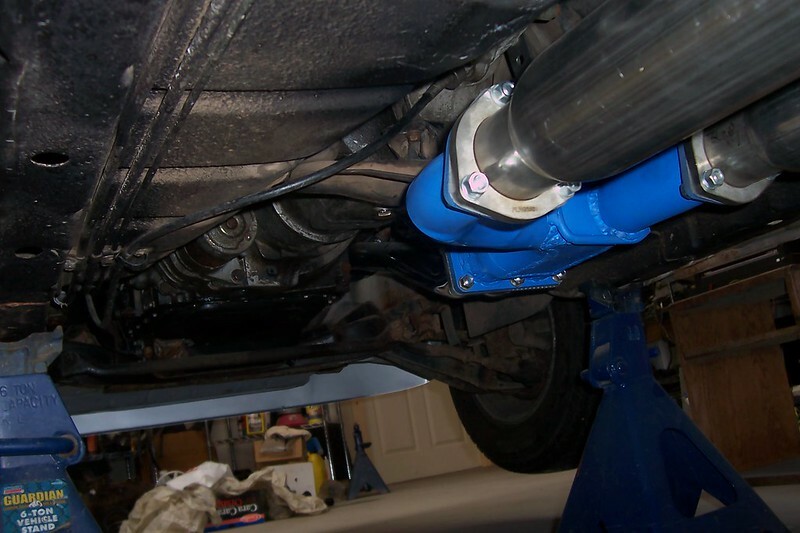 It's been a low budget effort (except for the exhaust, which cost way too much in my estimation, about half of the build cost, stainless steel mufflers are EXPENSIVE). 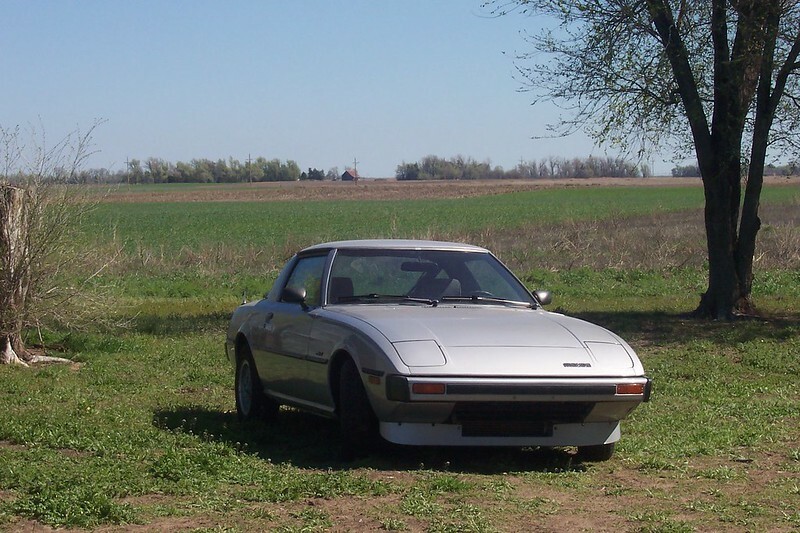 I've got just under 4000 dollars into the total project so far (including purchasing the car). It's more than the car's really worth, but you can spend a lot more trying to keep yourself amused. I'm learning a lot in the process and just having fun. It'll be even more fun when I can get to some of the events and meet some of you in person. Thanks for all the help guys. Last edited by GySgtFrank; 08-13-2013 at 02:49 PM.. Reason: Bonehead finally figured out how to post pictures correctly.